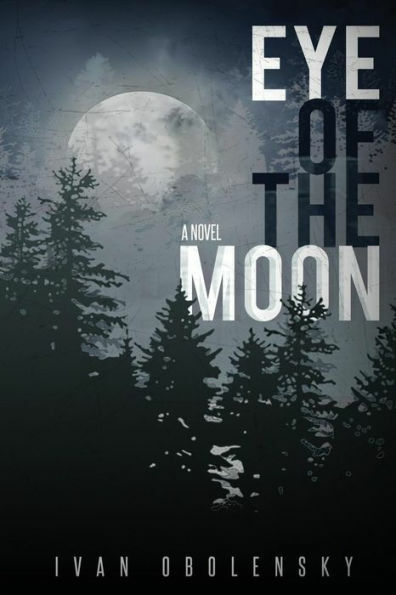 **Eye of the Moon (Paperback) (Gothic Mystery Deal of the Day, Sponsor, If you like Agatha Christie) by Ivan Obolensky. Price: $16.99. Genre: Gothic Mystery Deal of the Day, Sponsor, If you like Agatha Christie. Rated 4.8 stars on 66 review. 554 pages. ASIN: B07BH41NB5. *Game of Twins (Historical Thriller Deal of the Day, Sponsor, Serial Killer Thriller, Twins getting murdered, Across an entire Century) by Mo Robinson. Price: $4.99. 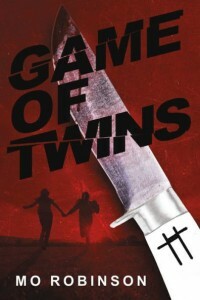 Genre: Historical Thriller Deal of the Day, Sponsor, Serial Killer Thriller, Twins getting murdered, Across an entire Century. Rated 5 stars on 1 review. ASIN: B07GVTYBYT. 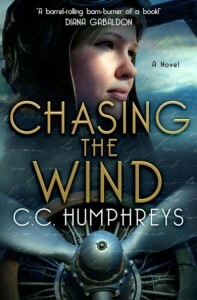 *Chasing the Wind (Mystery Deal of the Day, Sponsor, Crime Fiction, Noir) by C. C. Humphreys. Price: $0.99. Genre: Mystery Deal of the Day, Sponsor, Crime Fiction, Noir. Rated 4.6 stars on 39 review. 298 pages. ASIN: B07D6Z9BQ4. **How the Earl Entices (Regency Historical Romance Deal of the Day, Sponsor, He discovers Secrets that could Endanger England, He’s Forced into an Impossible Situation) by Anna Harrington. Price: $4.99. Genre: Regency Historical Romance Deal of the Day, Sponsor, He discovers Secrets that could Endanger England, He’s Forced into an Impossible Situation. Rated 4.8 stars on 55 review. 328 pages. ASIN: B07DQS7GTH. **Eight Goodbyes (Romance Deal of the Day, Sponsor, Asian Romance, Across the World Romance) by Christine Brae. Price: $4.99. Genre: Romance Deal of the Day, Sponsor, Asian Romance, Across the World Romance. Rated 4.5 stars on 53 review. 278 pages. Paperback version! ASIN: B07DHC7RWQ. * Enlightened (Fantasy Romance Deal of the Day, Sponsor, Book that Remains in your Mind Long after you’ve Read it) by Billie Kowalewski. Price: $1.99. Genre: Fantasy Romance Deal of the Day, Sponsor, Book that Remains in your Mind Long after you’ve Read it. Rated 4.4 stars on 36 review. 351 pages. ASIN: B06VTBR36K. **Dan Alexander, Pitcher (Bottom of the Ninth) (Romance of the Day, Sponsor, A Reformed Bad Girl, Hiding in Plain Sight, A Star Pitcher) by Jean C. Joachim. Price: $0. Genre: Romance of the Day, Sponsor, A Reformed Bad Girl, Hiding in Plain Sight, A Star Pitcher. Rated 4.5 stars on 51 review. 241 pages. ASIN: B01M0UT7CS. ***Fashionably Dead (Hot Damned Series, Book 1) (Steamy Romance Deal of the Day, Sponsor, Vampire Romance, NY Times Bestselling Author) by Robyn Peterman. Price: $0. Genre: Steamy Romance Deal of the Day, Sponsor, Vampire Romance, NY Times Bestselling Author. Rated 4.5 stars on 2225 review. ASIN: B00EYMXM2I. ***New Corpse In Town (Secret Seal Isle Mysteries, Book 1) (Steamy Romance Deal of the Day, Sponsor, NY Times Bestselling Author, Romantic Comedy) by Lucy Quinn. Price: $0. Genre: Steamy Romance Deal of the Day, Sponsor, NY Times Bestselling Author, Romantic Comedy. Rated 4 stars on 448 review. 236 pages. ASIN: B01IFSDRW6. *Of Lords and Commoners (Lords and Commoners Series) (Historical Thriller of the Day, Sponsor) by Lynne Hill-Clark. Price: $0. Genre: Historical Thriller of the Day, Sponsor. Rated 4.8 stars on 13 review. 365 pages. ASIN: B01HFH7KYO. *Related By Blood: Book 1 (Psychological Thriller of the Day, Sponsor, Noir Thriller, If you like Gillian Flynn) by Holly Sheidenberger. Price: $0. Genre: Psychological Thriller of the Day, Sponsor, Noir Thriller, If you like Gillian Flynn. Rated 4.6 stars on 3 review. 20 pages. ASIN: B07GQZW1QZ. *Hangdog: Shoulder to Shoulder (Paperback) (Christian Mystery & Suspense Deal of the Day, Sponsor, Amazing Read, Characters that you fall in love with) by Tylie Vaughan Eaves. Price: $15.97. Genre: Christian Mystery & Suspense Deal of the Day, Sponsor, Amazing Read, Characters that you fall in love with. Rated 4.8 stars on 11 review. 316 pages. ASIN: B07FWCRRCZ. *5 Inspiring Stories (Christian Fiction Deal of the Day, Sponsor, God’s Miracles) by Dmitri Dobrovolski. Price: $0.99. Genre: Christian Fiction Deal of the Day, Sponsor, God’s Miracles. Rated 5 stars on 1 review. 76 pages. ASIN: B07DRS5FDY. *Rhythm (Ihy Saga Book 1) (Fantasy Deal of the Day, Sponsor, Will he and Ihy’s Son hone the Power of their new Partnership in Time) by Bill Ricardi, Natalie Marten. Price: $3.99. Genre: Fantasy Deal of the Day, Sponsor, Will he and Ihy’s Son hone the Power of their new Partnership in Time. Rated 5 stars on 1 review. 250 pages. ASIN: B07G774Q1Q. **Jaclyn and the Beanstalk (YA Fantasy Deal fo the Day, Sponsor, What Fate Awaits a Girl who Hears Monsters at Night) by Mary Ting. Price: $1.99. Genre: YA Fantasy Deal fo the Day, Sponsor, What Fate Awaits a Girl who Hears Monsters at Night. Rated 4.4 stars on 63 review. ASIN: 1944109749. **The Six and the Crystals of Ialana: Book One of the Ialana Series (Paperback) (YA Fantasy Deal of the Day, Sponsor, Sword & Sorcery, Quest to Find and Restore Lost Crystal of Ialana) by Katlynn Brooke. Price: $20.99. Genre: YA Fantasy Deal of the Day, Sponsor, Sword & Sorcery, Quest to Find and Restore Lost Crystal of Ialana. Rated 4.3 stars on 51 review. 272 pages. ASIN: B00KK5IPN4. *Snow Flower And The Panther (Paperback) (African Children’s Books Deal of the Day, Sponsor, Set Deep in the Forests of Cameroon, A Young Girl and an Injured Panther Cub) by Fleurie Leclercq. Price: $12.99. Genre: African Children’s Books Deal of the Day, Sponsor, Set Deep in the Forests of Cameroon, A Young Girl and an Injured Panther Cub. Rated 4.9 stars on 16 review. 43 pages. ASIN: B07DYHP7RZ. *Joker’s Fool (Satan’s Devils MC, #8) (Gay Romance Deal of the Day, Sponsor, He’s Despised and Shunned by his Family, He’s looking for someone who can Extinguish the Fire of Evil that burns Inside him) by Manda Mellett. Price: $3.99. Genre: Gay Romance Deal of the Day, Sponsor, He’s Despised and Shunned by his Family, He’s looking for someone who can Extinguish the Fire of Evil that burns Inside him. Rated 5 stars on 10 review. 385 pages. ASIN: B07GZQYBC1. *Beyond Chains (Biographies & Memoirs of the Day, Sponsor, A Pastor, A Wrongful Incarceration, Hoping for a Miracle) by Mark Anthony Nze. Price: $0. Genre: Biographies & Memoirs of the Day, Sponsor, A Pastor, A Wrongful Incarceration, Hoping for a Miracle. Rated 5 stars on 1 review. Author’s website! *“Cucumbers Have Thorns and Snakes Loves Strawberries”: How I won (Paperback) (Biographies & Memoirs Deal of the Day, Sponsor, True Story of a Family Stolen, A Daughter Searches for Her Father) by Janice E. Sullivan. Price: $12.26. Genre: Biographies & Memoirs Deal of the Day, Sponsor, True Story of a Family Stolen, A Daughter Searches for Her Father. Rated 4.9 stars on 32 review. 340 pages. ASIN: B0040JI3S8. *The 6D of Health (Nonfiction Deal of the Day, Sponsor, Understand Uncertainties that Surround Incurable Conditions) by James Alegbeleye. Price: $11.99. Genre: Nonfiction Deal of the Day, Sponsor, Understand Uncertainties that Surround Incurable Conditions. Rated 5 stars on 1 review. 292 pages. Paperback version! ASIN: B077NLY88D. *Social Media Just for Writers: How to Build Your Online Platform and Find and Engage with Your Readers (Nonfiction Deal of the Day, Sponsor, Social Media for Business Owners and Writers, How to Build your Online Platform) by Frances Caballo. Price: $4.99. Genre: Nonfiction Deal of the Day, Sponsor, Social Media for Business Owners and Writers, How to Build your Online Platform. Rated 4.3 stars on 15 review. 231 pages. ASIN: B01N5RJGST. *The 7th Sense (Paperback) (Non Fiction Deal of the Day, Sponsor, Self Empowerment, Create Harmonious and Pleasurable Events and Add them to Your Life, Create Your Own Reality) by Guy Lozier. Price: $13.99. Genre: Non Fiction Deal of the Day, Sponsor, Self Empowerment, Create Harmonious and Pleasurable Events and Add them to Your Life, Create Your Own Reality. Rated 5 stars on 1 review. 91 pages. ASIN: B078Q3341J. *Daughters of Dementia Paperback (Non Fiction Deal of the Day, Sponsor, Leslie Birkland of Big Rich Texas and her Sister Lindsey share tales of their Father’s Dementia, Personal and Revealing Stories, How Dementia affects a family) by Leslie Birkland, Lindsey Denhof. Price: $6.99. Genre: Non Fiction Deal of the Day, Sponsor, Leslie Birkland of Big Rich Texas and her Sister Lindsey share tales of their Father’s Dementia, Personal and Revealing Stories, How Dementia affects a family. Rated 5 stars on 7 review. ASIN: B07CYZZLGL. *Get After It: Seven Inspirational Stories to Find Your Inner Strength When It Matters Most (Nonfiction Deal of the Day, Sponsor, Motivational, Account of Author’s Life, From CIA Headquarters to F-16 Cockpit) by Parker Schaffel. Price: $0.99. Genre: Nonfiction Deal of the Day, Sponsor, Motivational, Account of Author’s Life, From CIA Headquarters to F-16 Cockpit. Rated 5 stars on 6 review. 221 pages. ASIN: B07GC1PWSM. *…Stepping Lightly Through Times of Great Change: hints and holograms for your well-being (Non Fiction Deal of the Day, Sponsor, New Age, Inhabit what awaits us, Reach a Higher Consciousness) by Diane de Simone. Price: $0.99. Genre: Non Fiction Deal of the Day, Sponsor, New Age, Inhabit what awaits us, Reach a Higher Consciousness. Rated 5 stars on 1 review. 27 pages. ASIN: B07H12GQL4. *Meth Vs Death No Way Out (Nonfiction Deal of the Day, Sponsor, Understand the Mindset of an Addict, Control Addiction has Over you) by Stormy Rainey. Price: $4.99. Genre: Nonfiction Deal of the Day, Sponsor, Understand the Mindset of an Addict, Control Addiction has Over you. Rated 4.4 stars on 6 review. 370 pages. ASIN: B07C3C75XQ. *The Truth About Alcohol – The Hidden Secrets Revealed (Non Fiction Self Help of the Day, Sponsor, Avoiding the Downsides of Alcohol) by T.J. Levi. Price: $0. Genre: Non Fiction Self Help of the Day, Sponsor, Avoiding the Downsides of Alcohol. Rated 5 stars on 1 review.